This tastefully remodeled home has an open floorplan and is situated on an oversized lot in the heart of Loomis. Home features include new interior and exterior paint, refinished off-white cabinetry, quartz countertops, stainless steel appliances, high end wide plank laminate flooring, LED light fixtures, custom tile, new carpet, windows and much more! Desirable floorplan that offers a spacious kitchen overlooking the backyard, oversized family room, large bedrooms and a beautiful master suite. The laundry room could double as home office area and has plenty of space for all of your crafting or storage needs + the tandem garage has an area suitable for a workshop. Large landscaped corner lot with mature trees in front, plenty open space in back or both side yards to entertain and space for RV parking and toys! 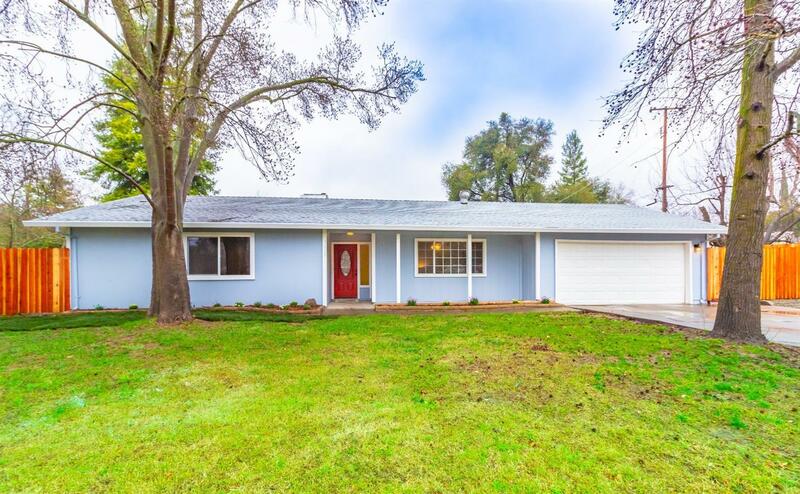 Located walking distance to downtown Loomis, top rated schools and close to freeway. This is a must see... it's time to make this house your home today!